No matter whether you are a print house or a prepress company: very often you get data in different color spaces from your customers, or data need to be prepared for a wide variety of printing processes. Especially checking and normalizing all kinds of PDF files is a very time-consuming process. 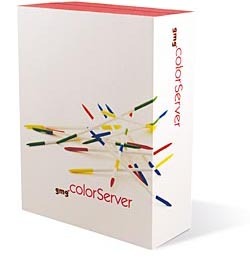 GMG ColorServer reduces this effort to a minimum by providing fully automatic color conversions for all printing processes. The digital and large format printing sectors are increasingly coming to expect high color accuracy, repeatability, and colors that match those of print media produced by classic printing processes, such as offset or gravure printing. Needless to say, the same also applies to companies that operate several output devices of an identical or similar type. The answer in such cases is centrally controllable color management with GMG ColorServer in conjunction with the new GMG SmartProfiler – the user-friendly solution for creating GMG ColorServer profiles and printer calibrations. GMG SmartProfiler enables any user to very easily calibrate, recalibrate and profile a wide variety of output devices without needing any in-depth knowledge of color management – consistent color results are guaranteed! • Different printing processes – same colors!